Deworming helps to maintain a horses health by targeting parasites that have been proven to cause harm to a horse, including colic and weight loss. 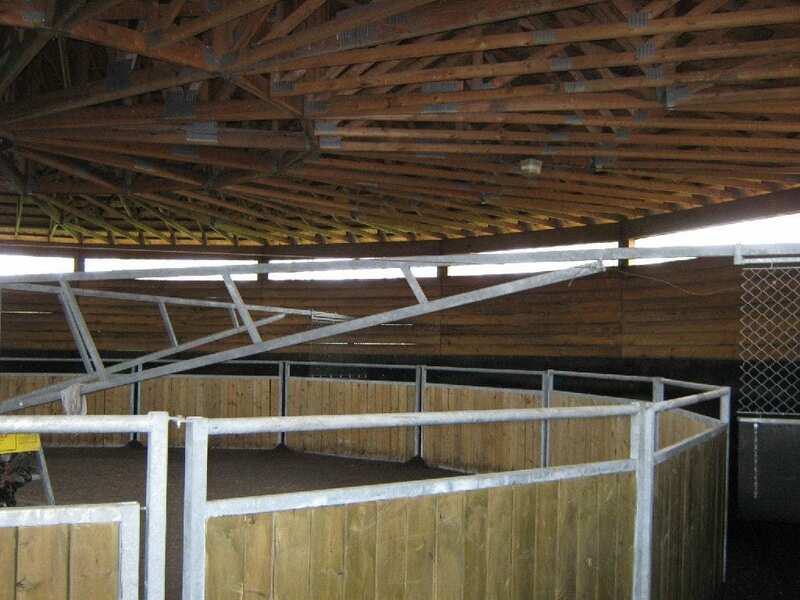 It is important to deworm horses at least once per year and even quarterly in some cases. Equine Infectious Anemia (EIA) is a virus that there is no cure or vaccine for. Coggins testing looks for EIA antibodies in a horses bloodstream. Coggins tests are required by law to be performed on a yearly basis. In order to take a horse to any competition, a negative resulted coggins test is required. East Coast Equine provides digital coggins results through Global Vet Link. This allows the horse's owner to have easy access to results and can quickly print reports as needed without the assistance of a veterinarian. In many cases, health certificates are required for horses to travel to races, across state lines, and internationally. East Coast Equine produces digital health certificates with Global Vet Link that list vaccination history in addition to coggins results. Depending on the location, the certificates can be submitted electronically to the location needed; allowing for a paperless process. 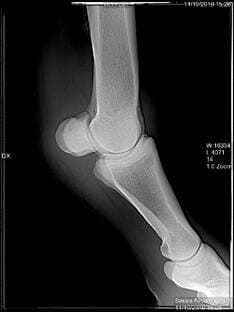 East Coast Equine offers mobile, digital radiography services. 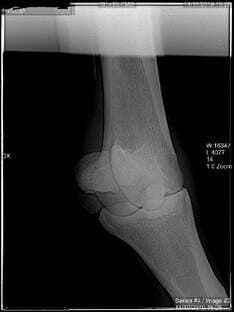 This is an important diagnostic tool to help identify cases such as fractures or breaks in a horse's bones. Digital x-rays provide the viewer an opportunity to see high resolution x-ray images. 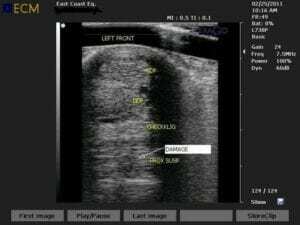 In addition, East Coast Equine has the ability to email images directly to owners or other veterinarians for real-time consultation if necessary. 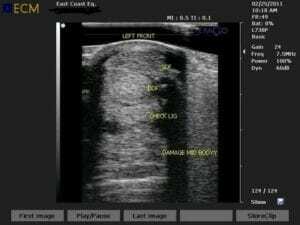 Ultrasonography is a non-invasive tool used to take pictures of internal structures. Echos from sound waves allow images to be developed that assist in determining damage to tendons or ligaments. East Coast Equines uses the latest technology to produce high resolution images that ensure proper diagnosis. Complete CBC tests help to determine white blood cell counts, full differentials, red cell counts, and hemoglobin counts. A chemistry profile will produce a blood profile that includes: Sodium, Potassium, Total Bicarb, Muscle Enzyme(CPK/SGOT), Glucose, Calcium, Blood Urea Nitrogen, Creatinine, Liver Enzyme (GGTP/SGOT), Albumin, Total Protein, Globulin. Thyroid profile can help check for conditions such as inappropriate weight loss or weight gain and poor hair quality. A Fibrinogen allows the ability to check for chronic infections or absesses. East Coast Equine offers endoscopy services to provide important views of airways and other critical areas. East Coast Equine offers mobile Shockwave Therapy services. The cutting edge treatment is a non-invasive procedure used to treat soft tissue structures such as tendons, suspensory ligaments, and feet. Joint therapy is an important part of maintaining your horse at its optimal performance level. Most horses begin life with joints that function smoothly, properly, and without pain. Gradually, with exercise and competition, certain joints may develop damage to the cartilage and underlying bone, a process called osteoarthritis. Osteoarthritis is a gradual and irreversible process which has the potential to cause pain, affecting your horse's performance and often causing lameness. Joint therapy is used to help slow down the process of osteoarthritis while at the same time relieving pain and extending the performance career of your horse. This therapy can consist of both intra-articular (within the joint) and systemic (whole-body) treatments that serve to improve the health and longevity of the joints. The joints we most commonly inject are synovial joints. These joints are made up of bones that are covered with articular cartilage, a smooth, low friction substance designed to make joint movement fluid and to cushion the impact on the underlying bone. The joint is surrounded by a synovial membrane, or capsule, which produces and contains the joint fluid that is essential for lubrication and health of the cartilage within the joint. How can I tell if my horse needs joint injections? The most obvious sign that you will notice is that your horse is "off" or lame during exercise. Often, horses who are in need of joint injection therapy may not be obviously lame, but may exhibit signs such as poor performance, irritability, or reluctance to work. 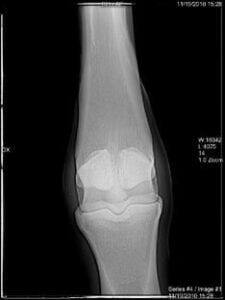 Often, the horse will have a history of osteoarthritis which needs to be maintained with routine joint injections. Why are joint injections beneficial? A good analogy for a joint injection is that of a car needing an oil change. A healthy car engine requires clean, thick oil for proper function. As the engine runs, the oil becomes thinner and should be changed in order to maintain proper function of the engine. Similarly, a joint needs healthy joint fluid to maintain proper function. Inflammation from osteoarthritis causes the fluid within the joint to become thinner, reducing its lubricating qualities. Intra-articular injection of substances such as hyaluronic acid, low doses of steroids, and adequan can help to alleviate inflammation while improving the quality of the joint fluid and stimulating the synovial membrane within the joint to produce healthier fluid as well. The joint that we isolate as needing treatment will be surgically prepared, and a needle inserted into the joint. 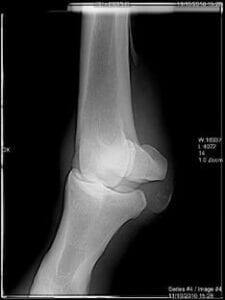 Often synovial (joint) fluid will be visibly coming from the needle. Normal, healthy joint fluid is clear, pale yellow to colorless, and very thick (normal joint fluid should form a string that reaches almost to the ground when dripping from the needle). Unhealthy joint fluid is excessive in amount, and often is thin and discolored (may be darker yellow, orange, to blood-tinged) indicating the presence of inflammation in the joint. A syringe usually containing hyaluronic acid, antibiotic, and a low dose of steroid is then administered to the joint. What can I expect to see following the procedure? Usually, it takes approximately 7-10 days following the procedure to appreciate an improvement in your horse's performance. Your horse should move more comfortably, with an appreciable resolution to the lameness that was present. 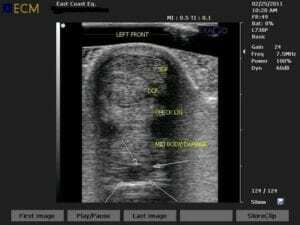 East Coast Equines offers superior lameness examination. We believe in taking a comprehensive approach in determining the main cause of your horses soundness issue. We leverage the latest technology and techniques to review all possible causes before making a diagnosis. 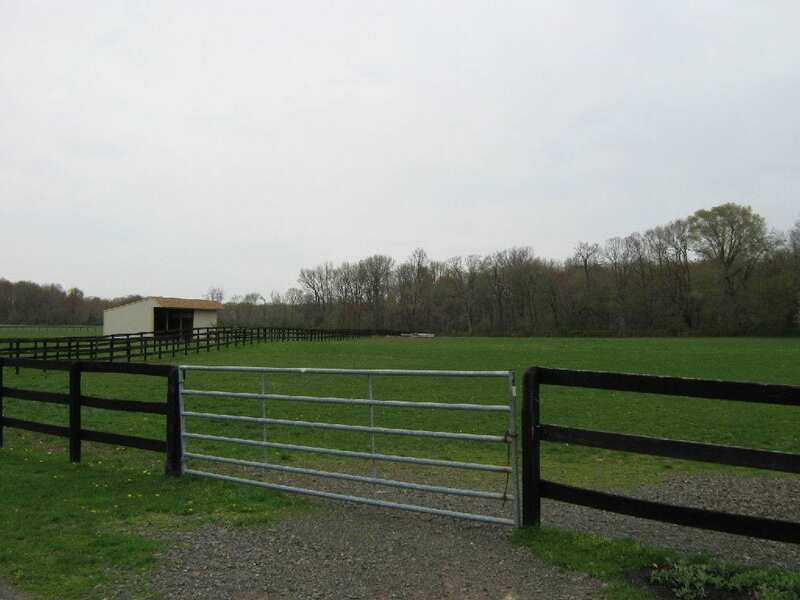 East Coast Equine features an outstanding lay-up facility located on 34 acres. 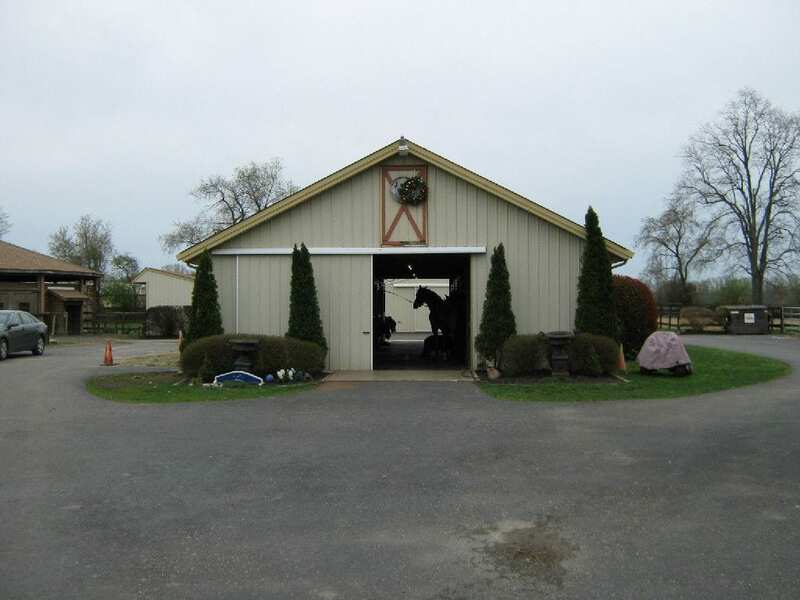 From minor to major surgery recovery, lameness rehabilitation, East Coast Equine has the facility and professional staff to ensure a horse is given all necessary attention that is required for a healthy recovery. 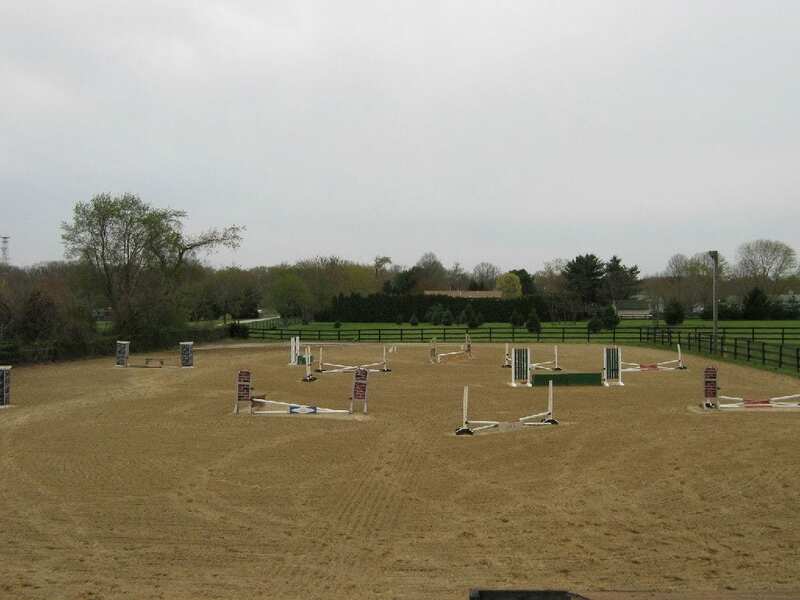 Depending on a horse's need, East Coast Equine puts together a recovery program that combines recommendations from surgical centers as well as years of experience. 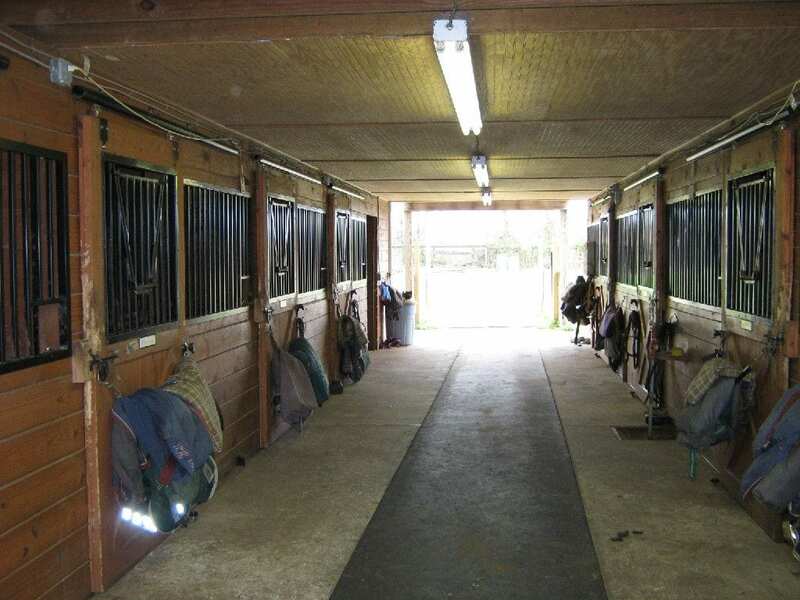 East Coast Equine offers 200'x80' riding ring, indoor equisizer, access to a 5/8 track, and indoor swimming pool. 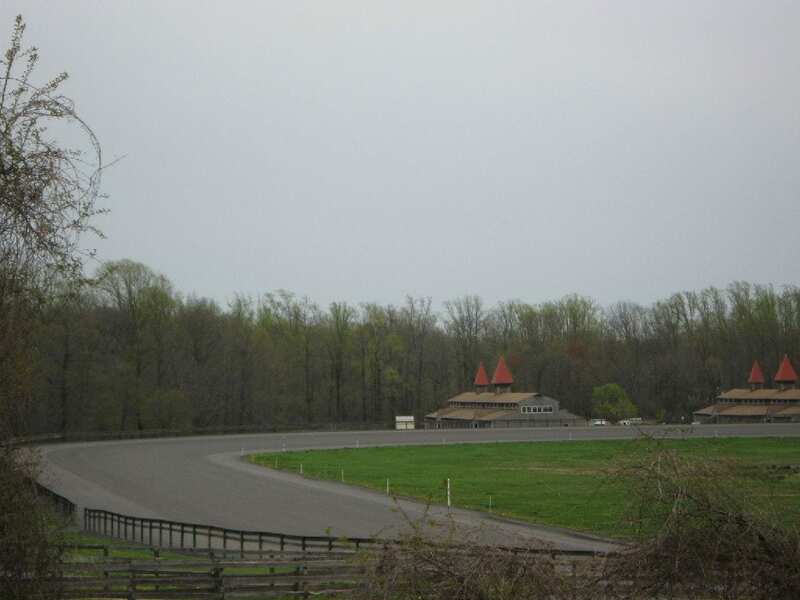 In addition, East Coast Equine offers direct veterinary oversight of your valuable sporthorse or racehorse investment.